Acne vulgaris is a very common skin disorder of the pilosebaceous unit, an oil gland connected to a hair follicle. Overstimulation of this gland leads to increased oil production, called sebum, which is normally responsible for lubrication and waterproofing of the skin and the hair. These glands are found in greatest numbers over the face and scalp, but are also present on the back, shoulders, and even buttock. Acne affects both sexes equally and can affect any age group. Acne problems might develop as early as 6–8 years old or may not appear until well after the age of 20 or later. Some people might develop first acne in their 40’s. Studies show that an estimated 85% of all adolescent shave some form of acne and out of them 30%–50% experience psychiatric disturbances due to their skin condition. Additionally, some studies also have shown that unemployment rates are higher among adults with acne than those without. These statistics are unacceptable and should not be tolerated since there are many treatment options available and no one deserves to be discriminated against and have their quality of life negatively impacted. Acne development consists of four key elements: 1. Pore gets clogged aka (follicular epidermal hyperproliferation) 2. The oil from the pores gets trapped (excess sebum production) 3. The clogged pore gets inflamed and red, and 4. The oily environment allows bacteria (Propionibacterium acnes) to grow and flourish, resulting in large and painful pimples. Treatment is tailored to address all of the stages and often consist of a combination of more than one treatment option. Different treatments target different stages responsible to acne development. Some treatments target the hormones responsible for making too much oil in the skin leading to inflammation and acne. Some treatments shrink or destroy the glands responsible for producing oil which clogs and inflames the skin. The most important thing is to accurately identify the cause of your acne and then apply the appropriate treatment. 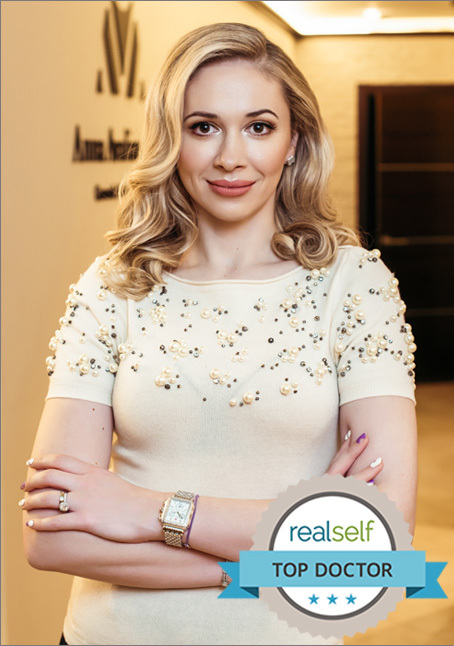 Dr.Avaliani uses SkinScope to accurately diagnose the causes of acne and takes a picture of your skin to show you all your problem areas and explains what they are. What are some of the current available treatments on the market? Acne vulgaris treatments consist of many local and systemic treatments and they vary from every day use of topical therapy, to monthly use of facials to occasional touch ups with laser treatments. The variety of treatments includes: skin cleansers, salicylic acid, azelaic acid, benzoyl peroxide, topical antibiotics, retinoids, oral contraceptives, corticosteroids, LED phototherapy and of course lasers. Dr.Avaliani and her team offer a variety of treatments to combat this very common problem area and are happy to offer a detailed plan at your consultation visit. How can Dr. Avaliani help? During your consultation, Dr. Avaliani will carefully examine and evaluate your skin and determine the possible cause of acne and review all and any treatments you have tried. She will then propose a detailed plan to address your concern. Many treatment options are offered and sometimes a combination of treatments will be needed to achieve 100% acne clearance. We are excited to offer the following treatments: for you.